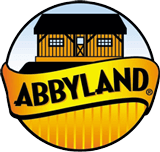 Feedback | Abbyland Foods, Inc. Please tell us what you think about our web site, company, products, or services. If you provide us with your contact information, we will do our best to address all of your comments, questions, and concerns.